Life Help Centre for the Handicapped (LHC) is a non – governmental organization rendering services in the field of Rehabilitation for the orthopeadically handicapped and the Intellectually Challenged Children, Young Adults and Adults in the spheres of Education, Training, Service, Employment, Health and Disaster Preparedness since 1977.
to help disaster victims by implementing many relief and rehabilitation programs that benefitted thousands of people. Our reputation has spread far and wide thanks to our dedicated services to the deserving, prompt disaster-relief and essential healthcare services. Education is the first and foremost rights of every human being. Education helps us to set a goal and go ahead by working on that throughout the life. Millions of people flee their homes to seek sanctuary in other countries and they are struggling to survive every day. Help them recover some of what they’ve lost. The effects of malnourishment are irreversible if they occur at a young age. If not death, it leads to permanent disabilities that render the children ill for the rest of their lives. 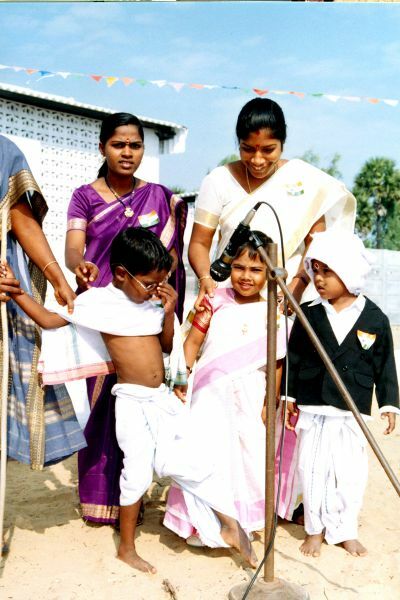 Your donation will further our vision of ensuring a happy and healthy childhood for India’s children. Donate to make a change. It's a known fact that LHC doing mitigation work right from 2001 earthquake at Bhuj, Gujarat continue to work in Kashmir earthquake and Tsunami, Kurnool flood, Cuddalore flood etc., May the almighty showers all strength to them to continue their yeomen service. Join in our news letter for instant updates about our organization events and volunteer programs.